Video Processing/Scaling, and Multi-Zone Operation. 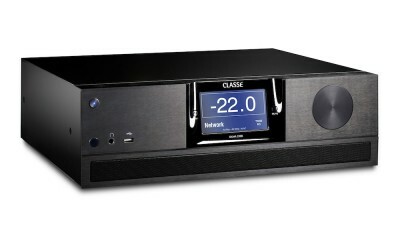 Montreal, Quebec, Canada–January 2007–Classe Audio, noted for its leading position in high performance audio and audio/video components, introduced its much-anticipated SSP-900 Surround Sound Processor. A striking visual statement in itself, the new processor combines equally striking audio and video performance. In addition, the SSP-900 builds on user-friendly touch-screen operation with a second front-panel screen dedicated to previewing video information independent of other display devices in a home theater system. 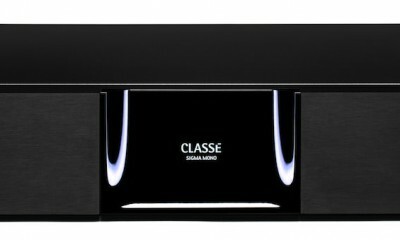 “Today’s home entertainment technology is so intimidating that many people don’t enjoy its benefits,” said David Nauber, Classe’s Executive Vice President of Brand Development, “so the Classe Design Team accepted the challenge of not only surpassing past performance plateaus but also making day-to-day use not just accessible but positively inviting. The SSP-900 displays the acclaimed curved aesthetic that distinguishes all Classe Delta series components. If the front panel’s most visible feature is the dual screen array, its most attractive element is the uncluttered look afforded by just four controls. That exceptionally clean visage is possible thanks to a sophisticated and customizable touch-screen menu system that provides equal access to all the SSP-900’s capabilities or to a simplified number of choices more suitable for benefit-oriented users. The SSP-900 also exhibits an unusual level of flexibility and technical prowess. Analog audio inputs include four single-ended and one balanced as well as accommodations for a discrete 7.1 source. Digital audio sources enjoy six coaxial, one AES/EBU, and six EIAJ (TOSlink optical) inputs. The processor accommodates up to four HDMI audio/video sources and features four component, four composite, and five S-video inputs as well. 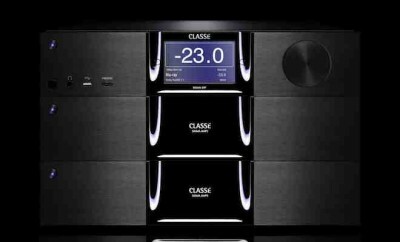 Outputs include Main and Zone analog and digital audio. The ten Main analog outputs include two programmable for either additional subwoofers or a two-channel stereo downmix. The video output complement includes two independently assignable HDMI outputs as well as component and S-video. A separate OSD (on-screen display) output allows easy configuration in a custom-installed environment. The SSP-900’s major characteristic, however, is sheer performance. The dual power supplies, one toroid-based linear design for analog circuits and a high-speed switching supply for video and digital processing, combine for optimally efficient use of AC power. All analog audio circuitry is full-differential for maximum noise rejection and dynamic range. All parts are premium quality, tight-tolerance and were selected only after critical evaluation for their contribution to listening quality. Digital components include advanced Cirrus Logic analog-to-digital (A/D) converters featuring 24-bit/192 kHz conversion. An advanced Texas Instruments microprocessor handles all internal decoding while complimentary Burr Brown digital-to-analog (D/A) converters bring the full-resolution signals back to the analog domain for output as needed. A sophisticated Gennum video processor/scaler, noted for its use in HDTV broadcast-level applications, provides patented Visual Excellence Processing that includes dynamic edge detection, film mode processing, and detail enhancement. The latest algorithms continuously analyze video signals and automatically provide the optimum in both content-based and pixel-adaptive noise reduction for extraordinary edge definition that results in a true film-like viewing experience. Other conveniences abound. Classe’s proprietary CAN-bus control links allow numerous Classe components to function as one for the ultimate in system integration. Rear panel IR (infrared) inputs and outputs augment the front panel signal receptor so remote control functions regardless of the processor’s location. An RS-232 bi-directional communications port insures the SSP-900’s compatibility with optional touch-screen system controllers and provides an easy path for software/firmware upgrades when appropriate. Individually programmable DC trigger outputs let the SSP-900 control other system components. The SSP-900 will be available in March, 2007 at a retail price of $25,000 US.